Our strategy is to implement a low-cost methodology to disrupt the status quo and to become the premier option in our category. We will take a customer-centric approach to disintermediate our competitors. Utilizing machine learning, we will create a first mover advantage. 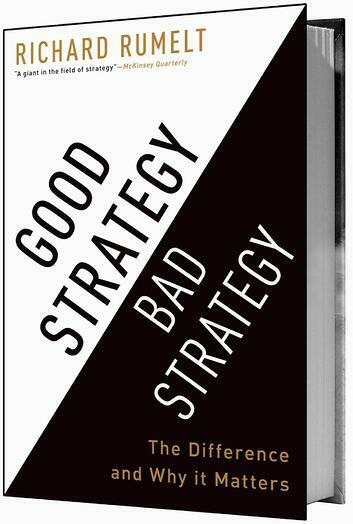 Here’s the thing about good strategy - it’s simple. All of these are great for motivation. None of these are strategic. Vision is not strategy. (It’s not even a required part of strategy.) Vision can be inspiring, but if you don’t generate and maniacally execute a strategy to achieve the vision, then it’s just entertainment. I’ve learned that people are great at putting one foot firmly into the new world described by the vision; they’re just not so good at taking the other foot out. To this point, I’ve given some example of what strategy isn’t (or better stated, what bad strategy is). Let’s pause here and look at the elements of good strategy (at least as defined by Rumelt). A strong Diagnosis that clearly defines the challenge. A Guiding Policy that, like the guardrails on a highway, directs and constrains action in certain directions without defining exactly what shall be done. A set of Coherent Actions that dictate how the guiding policy will be carried out. The actions should be coherent, meaning the use of resources, policies, and maneuvers that are undertaken should be coordinated and support each other. Committing to these actions does not mean you won’t revisit, adjust or completely alter the strategy in the future. To the contrary, a strong strategy is built to be dynamic and to allow learning and experience to naturally evolve the strategy. However, the failure to commit to the strategy, the failure to plant both feet firmly focused on the strategy is akin to walking down the middle of the street - you’re guaranteed to get hit coming from both directions. The thing that I love and hate about strategy is that, ultimately, you can’t fully judge it until after the fact. I’ve always found team sports and poker to be great examples of putting strategy into play. To be successful you must define the game that you’re going to play, and then stick to it. 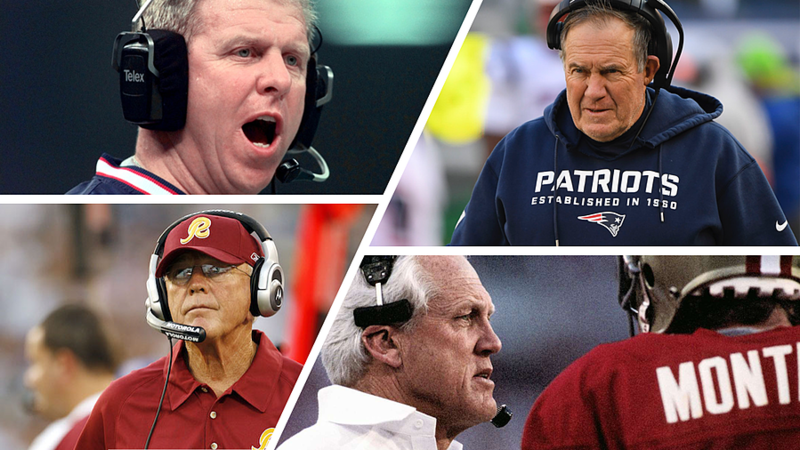 The answer is four coaches who won multiple Super Bowls with very different personnel and circumstances. If you follow their careers as coaches, you’ll see while they were playing the same sport as their competitors, they defined a different game. You can see how they used the three elements of strategy to guide their actions and they didn’t let the latest trend or even the last game change their game. That is the benefit of good strategy. Be like Joe and the three Bills. Define, and then play, your game.